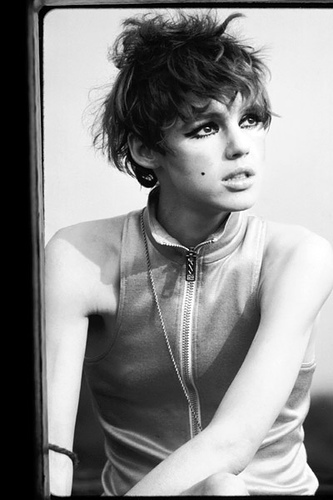 A whole new generation has come to know Edie Sedgwick via the flawed ‘Factory Girl’ biopic (2006). 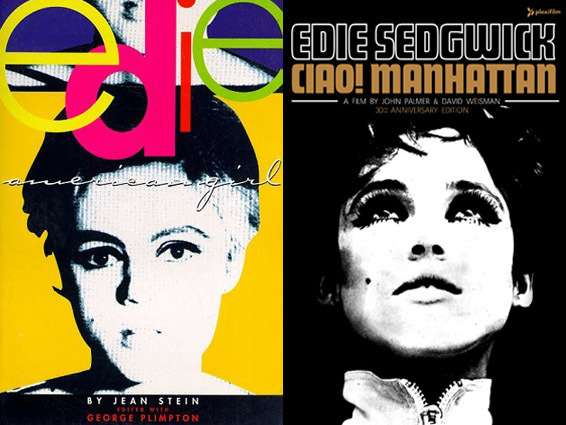 Dismissed by NY’s Village Voice as ‘Edie for dummies’, the film was widely criticised for lapsing into fictionalization in the name of ‘artistic license’, but there were still many people, unaware of the rumpus, who took it at face value and have no reason for regarding the portrayal of Edie as anything less than authentic. For me this is the curse of the biopic – it’s a quick fix for someone to gain a bit of passing info about someone of cultural significance, so they can tick them off their ‘I know who that is’ list and drop a cool name in the right company, but, as we know, fast food isn’t all that nourishing, especially when what’s in the bun isn’t exactly a burger. If there’s someone I want to find out more about I read their biography / autobiography, or watch a documentary if there’s one available, with some good old actual footage. Of course, writers and documentarians can put their own slant on things, distorting the story to suit their means, but if you’re able to cross-reference from other sources you can generally work out whether what you’re reading or watching is worthwhile, and serves towards a greater understanding, rather than a distortion, of the subject matter. In Edie Sedgwick’s case her life is forever linked with Andy Warhol, for whom she was muse and inspiration at a crucial ’60s juncture. As the ‘superstar’ of a number of his underground films her immortality is assured, but her legacy goes much deeper than her relatively brief role as Warhol’s ‘Queen Of The Factory’, burning ever so brightly before her fabulous downfall. The accolade ‘cult ’60s icon’ don’t come easy (or in this instance without having to pay the ultimate price in the process), so I’d recommend further investigation for those who are interested in digging deeper. Firstly, I’d suggest you read the engrossing oral history ‘Edie: An American Biography’’ (first published in 1982 and later re-named ‘Edie: American Girl’), which takes you through her life, from cradle to grave, in the words of those who knew her. After that (but not before, unless you want to be totally befuddled) check out ‘Ciao! Manhattan’ (1972), for there’s a lot of truth beneath the often disturbing spectacle of this semi-biographical drug fuelled swansong – a movie she desperately wanted to complete (filming had stopped for over three years) despite her dire personal circumstance, and which, following her death in 1971 at the age of just 28, she would never see finished.